A while back Activision confirmed that the PS Vita will be getting an instalment of Call of Duty, however now almost a year has passed and not a single piece of detail or official screenshot has been revealed. All we know is that its coming this Fall and that its most likely a port of the upcoming sequel to Black Ops, Call of Duty Black Ops 2. 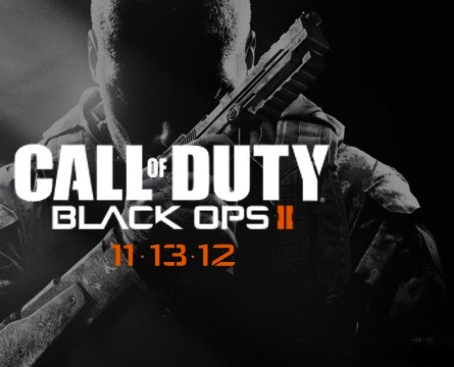 With Treyarch ready to officially announce Call of Duty: Black Ops 2 tomorrow theres a chance that the trailer might be similar to Capcom's Street Fighter X Tekken trailers where a small animation stated that "A PS Vita version is in development"
Since Call of Duty is such a massive massive massive massive massive massive franchise, we can't think of a better way to pull the PS Vita out of its own grave. A while back I wrote a long editorial titled "What Call of Duty PS Vita Needs To Succeed" so if you have not seen it I highly recommend you check it out! 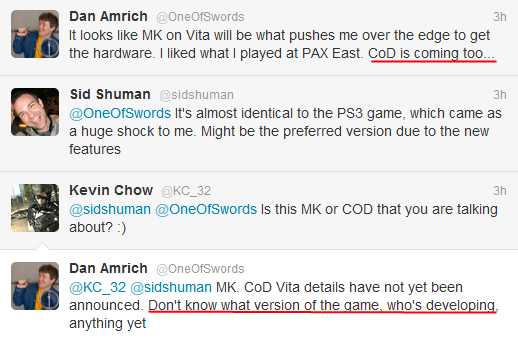 Will Call of Duty PS Vita increase sales? Let us know in the comments below!